I have coached athletes since 1997. By athletes I am referring to football, basketball, soccer, and all the rest. Basically, I am talking about all the athletes outside of strength sports. It’s my way of differentiating for all of you. Over the years, I have tried several methods. All of those years of trial and error have led me to my current way of programming for athletes. Here’s what I have found. A simple approach will yield the most results. 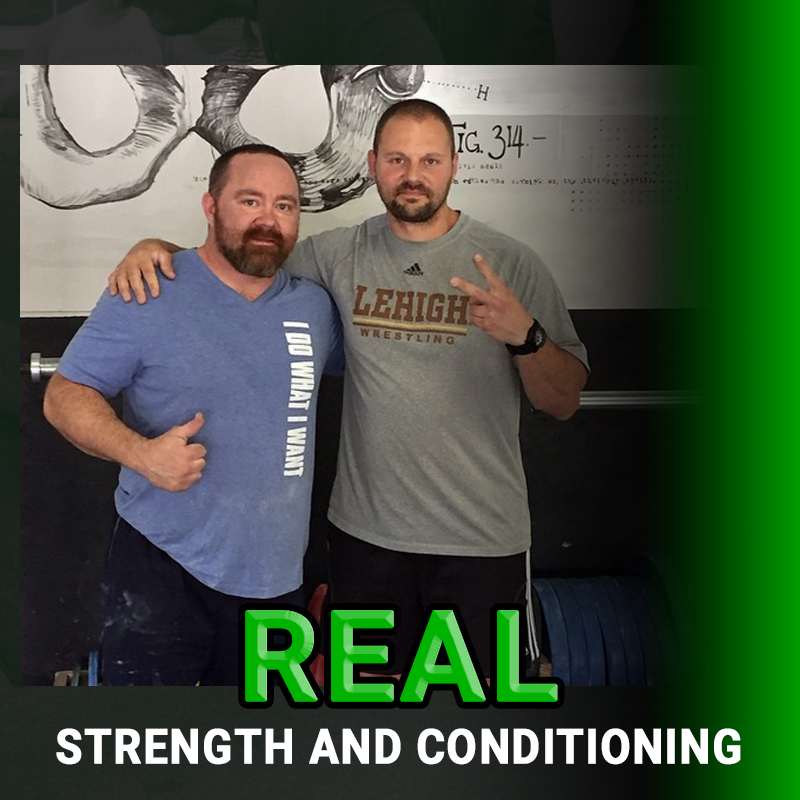 Today we are going to talk about the weight room specifically, but a lot of these same ideas will transfer to speed, agility, and jump training as well. 1. The Clean- I use this movement for maximal power production, kinesthetic awareness, mobility, and overall athleticism. Studies have shown that the most power is utilized when performing the clean. This power transfers to vertical leap and acceleration. If you are good at teaching the clean, you will teach your athletes to be aware of the bar in relation to the body. Basically it’s a great way to teach your athletes awareness of their bodies in space. This is an athletic trait that is otherwise very hard to develop, but so very important. The catch of the clean requires optimal mobility in the hips, ankles, and thoracic spine. Specific mobility work is definitely a good thing. However, the body responds better when practicing specific movements. The body adapts over time to meet the requirements of movements that athletes practice. Strength coaches often overlook perfect movement. They focus too much on numbers like maximums in bench press or squat. Here’s the thing that all of you need to know. If an athlete can move well, they will be ahead of 75% of their opponents. Unhindered movement allows athletes to be faster and more agile. They are able to get into position uncompromised. I have an athlete, Trip McNeill that plays offensive line at Duke University. He is 6’5” and over 300lb. His size is impressive, but it is his movement that makes him deadly. He could clean and squat with perfect movement patterns. A big guy that can move as well is a deadly force on the football field. 2. The Squat- Absolute strength is important because it pretty much makes everything better. If someone’s squat goes up, normally so does their speed, vertical leap, ability to change direction, and their clean as long as movement and relative strength remain the same or get better. There are plenty of studies that show a direct correlation between squats and vertical leap and squats and 40-yard dash times. You can’t ignore that as a strength coach. When I was visiting Florida State University a year ago, I found it super interesting that the strength coach was using data from tendo units in the squat to predict PRs on the track. He was predicting PRs on the track by the bar speed with 85+% Back Squats. They were using those numbers in the weight room to dial in track practice volumes and intensities. So cool! 3. A Press- I use the bench press, strict press, and push presses for my athletes. I like the bench press for overall fiber recruitment. This one is especially important for football players. They have to maintain strong upper bodies to stabilize their torsos for those collisions and fights in the trenches. I really like using push presses at least once per week because it teaches athletes the connection between the hips and the arms. Nothing powerful in the upper body happens without amazing strength in the hips. Think about it for a moment. A punch comes from the hips delivered out through the fist. A baseball pitch originates from the hips. The push press requires some strong shoulders and triceps, but the movement originates from the hips. 4. A pull- In this category, I like using the deadlift, clean pull, and Romanian Deadlift. The goal is to develop the posterior chain. The posterior chain is directly related to speed and vertical leap. You will never find a great sprinter with small hamstrings and glutes. A strong posterior chain will also help bulletproof your athletes on the field. A strong posterior chain has been shown to prevent injuries. Pulling will also give field athletes more muscle mass in the neck, traps, and upper back, which will help absorb energy during collisions protecting the brain and spinal cord a bit more. 5. Important accessory work- I don’t get fancy in this category. I use carries, pull-ups, pushups, and dips for the most part. Relative strength is important because on the field the athlete simply has to move their own body weight around. That ability is often overlooked. Carries are great for stabilization in the torso, hips, legs, and feet. Basically carries are the ultimate core and stabilization movements. Guys that’s it. I keep it simple. You can get as complicated as you want, but these are the movements that I have found to work. These movements helped my man Cade Carney get the third best Nike Football Combine score in the entire country. 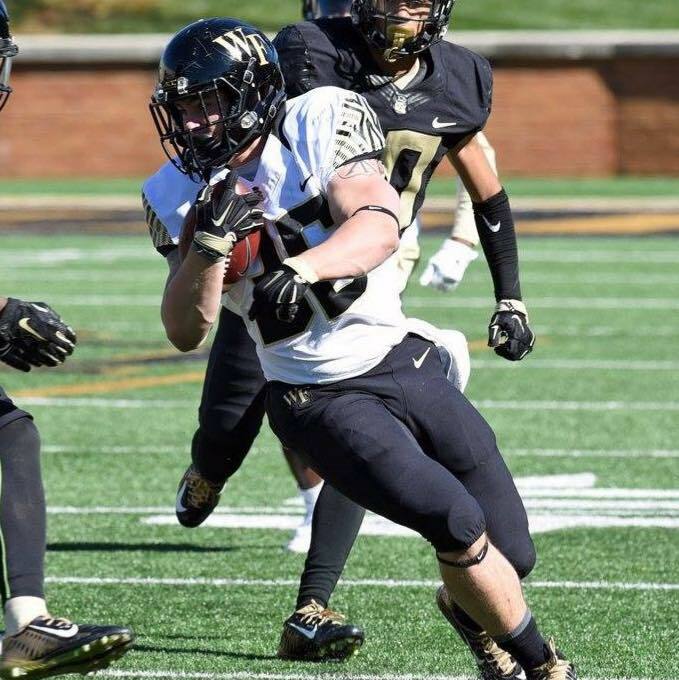 These movements helped him earn the starting running back position as a true freshman at Wake Forest University. If you are a strength coach out there, I hope that this helps you simplify your programming efforts. Dan John has taught a simple approach for years. I promise that a simple approach will always yield the best results. Now go out there and get your athletes ready to kill it.